Irish. 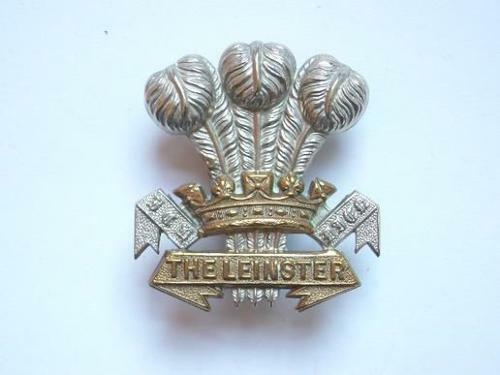 Leinster Regiment post 1896 cap badge on loops. A fine die-stamped bi-metal Victorian / Edwardian example.